I am personally really enjoying the recent BB cream craze that has been going on. I've never been a fan of foundation...I always find them either too heavy and dry, too oily, or just ineffective on my skin. And using layers of necessary products like serums, sunscreens, moisturizers, and makeup every day is not only time consuming, but it literally makes me feel like I'm suffocating my skin. I've always been more of an "all in one" kind of girl. So when I first started hearing about BB creams, to say I was intrigued would be an understatement. I'm pretty sure everyone knows what a BB cream is by now, but in a nutshell, it's a product that combines skin care benefits like whitening/brightening and antiaging, sun protection, moisturization, and coverage. They have been around since the 60s (when they were used by people who had undergone certain medical procedures to rejuvenate the skin) but they didn't start reed ally gaining popularity until a few years ago, when they became a craze in Korea. In the last year or two, the trend has made its way to the US, and we're now seeing American varieties pop up. I've posted before about a couple of the American variety, which are in general more like tinted moisturizers with some SPF than true BB creams (I'm not saying that's a bad thing...but I do find it best to consider them their own thing, rather than compare them to the others), but I've also been trying out some real Asian BB creams. This Missha M Perfect Cover BB Cream is one of those! 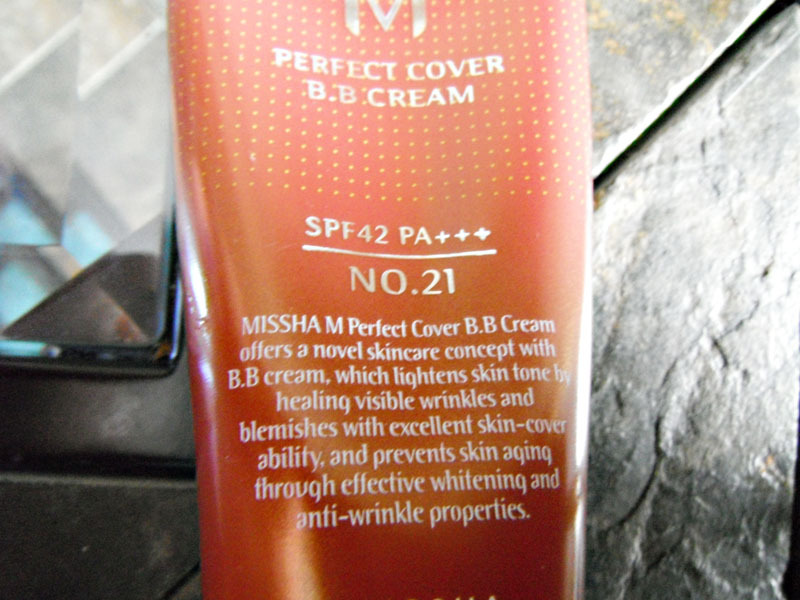 This BB cream comes in very easy to use packaging with a pump. 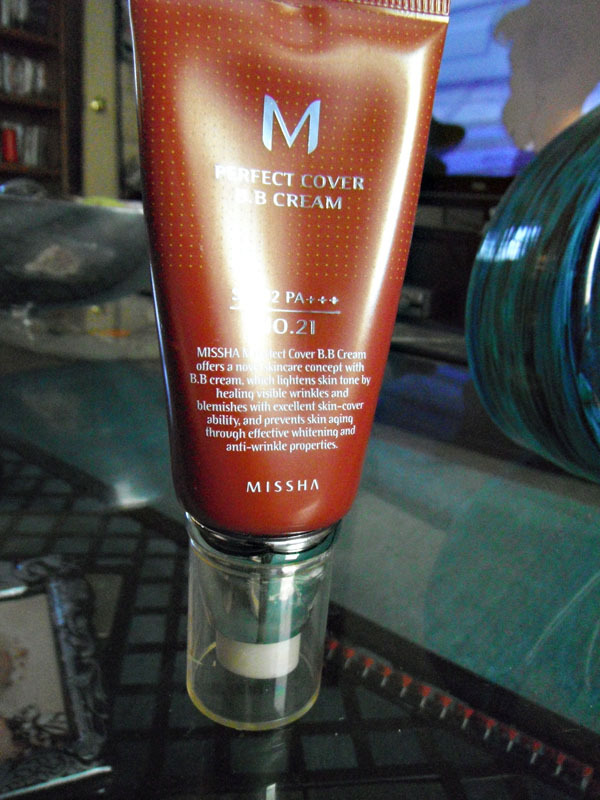 The full size is 50 ML and retails for $29.99 on Missha's US site...of course, prices vary at other retailers. They also sell a mini travel sized version. I have no. 21, which is Light Beige. This BB cream comes in 5 different shades ranging from Milky Beige to Golden Beige. This is the 2nd lightest. I was a bit concerned that this would be too dark, as I generally require the lightest shade in everything, but that was not the case and it is a good match for my skin! A good thing about BB creams is that the shades are very versatile and adjust to your skin tone. 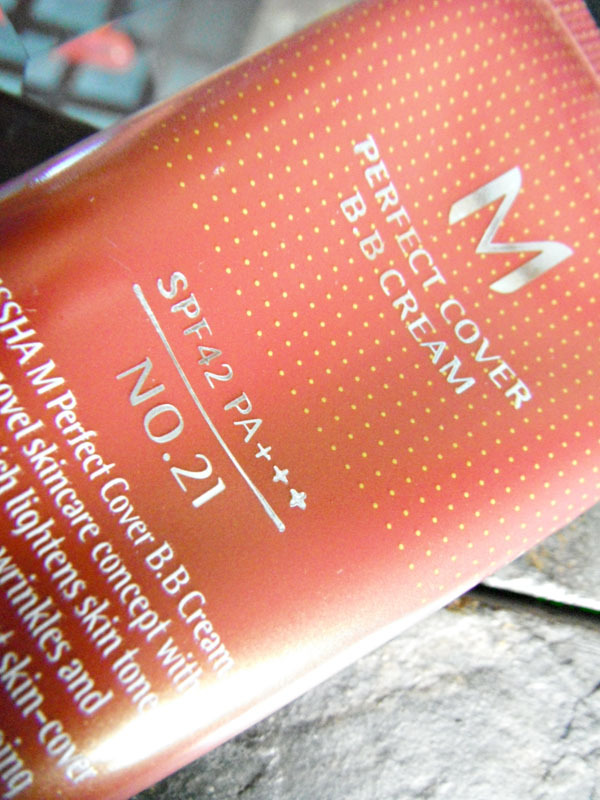 This BB cream offers an SPF of 42, which is great. It promises whitening and anti-aging, and to help heal blemishes. I have combination skin and I do get occasional breakouts, so I was happy to learn that. The product is a great consistency. It's thick and not at all runny, but it's light and easy to blend, as well. The pump makes it easy to dispense just the right amount. It does have a grayish cast to it when it is first applied, but that quickly goes away as it is blended into the skin. Another notable thing about this BB cream is the scent - it has a nice, soft, kind of powdery scent that I really enjoy. 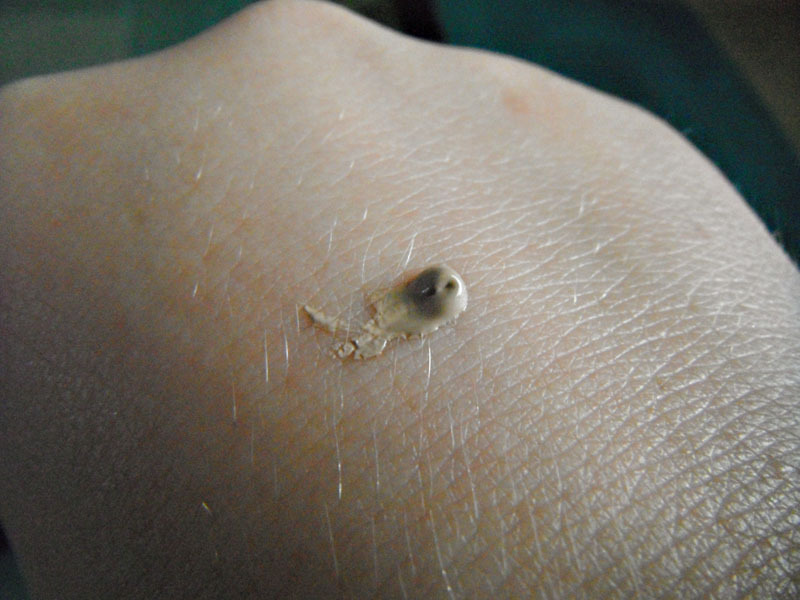 I found that it blended in to my skin readily and within a minute or two, it was invisible. I have found that it is easy to apply this cream for sheer coverage or full coverage, and it does not look cakey. 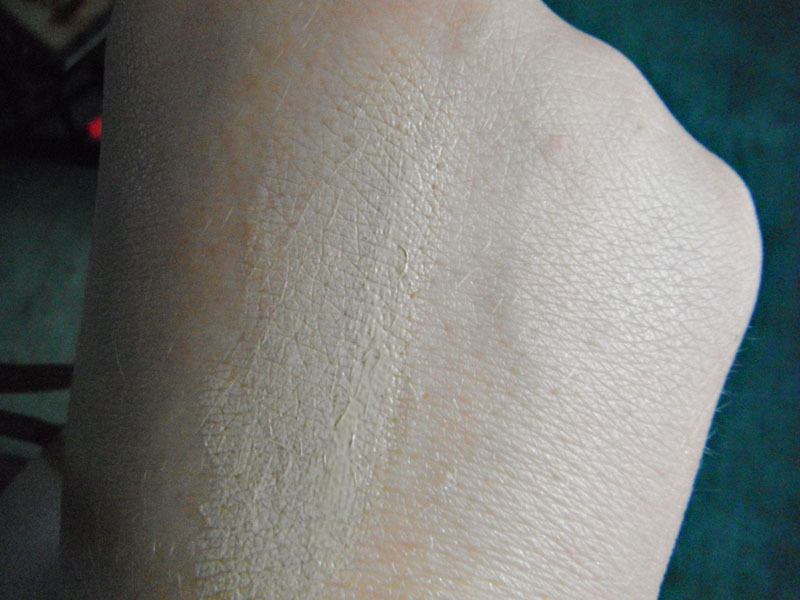 The finish is not dry nor dewy, but nice and soft. I have had a few people comment on how soft and pretty my skin looks while wearing it! 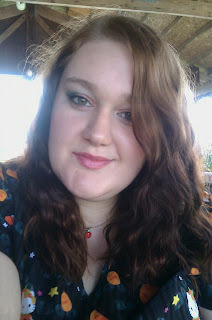 In this rather unflattering photo, I am wearing nothing on my skin but this BB cream and a bit of blush. It has covered my blemishes and uneven spots. I feel that it has lightened a few acne scars I have, as well, which is a very welcome benefit. In all, I am very impressed with this BB cream. It is one I will be repurchasing. 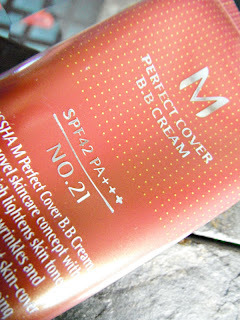 So far, it is my holy grail bb cream! What do you think of the current BB cream craze? What's your favorite one? 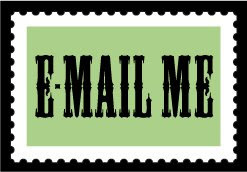 Hi there, this is really great! The BB cream faze is really in high gear. Hi I'm jae! :3 I'm a friend of Kay's at banini beauty. I'm trying to find more blogs like both hers and mine to meet new people. :3 Ah well I will find one soon! Take care! And yeah, the US versions are...well. They're just not BB creams. They are mostly pretty nice for tinted moisturizers, but I wish they'd used a different name for them, you know?